So these high low dresses have been all the rage for a while now and I've always turned my nose up at them. Visually they are so unappealing to me, like the mullets of the 80's. Even on the models I didn't care for them. They look like half of the dress was caught in the door on the way out of the club and simply ripped off, with the extra fabric trailing behind. 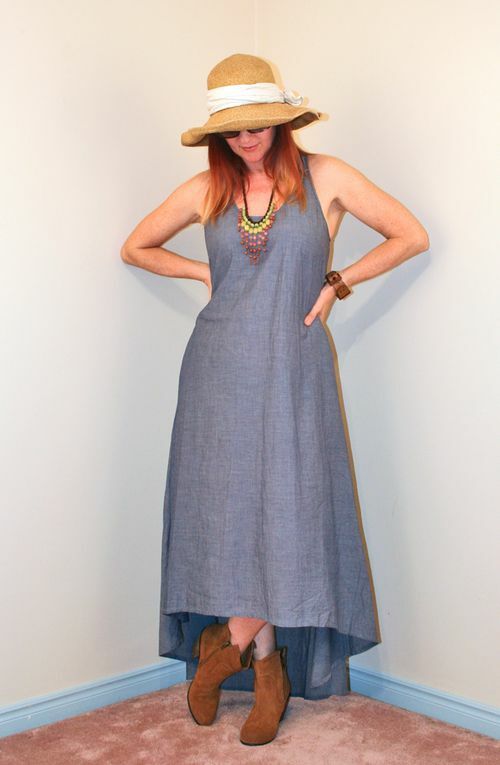 While browsing my local TJ Maxx I spotted what looked like a fabulous plain 100% light as-a-feather cotton chambray dress. Oooh! My heart leapt and shouted out, this'll be perfect for Nice! As I pulled the dress off the rack I spotted the back end of the dress and the disappointment set in…why oh why must they ruin a perfectly good dress by making it look like it's all party in the front and somber convent in the back? Normally I wouldn't even bother trying on a piece like that. I know that they make me look shorter and generally frumpy and are for the under 21 crowd. Here though the cut, simplicity and mostly the lightness of the cotton made me take a chance and take it into the change room with me. I promised myself I'd have an open mind and banned all thoughts of Billy Ray Cyrus' hair. I admit I didn't hate it. It had potential. I figured with the right boots, the right belt etc I could make it work. I used a scarf as a belt and added one of my handmade floral headbands that I never get a chance to wear. I also tried this on with my new floral blazer and it worked great with red high heel pumps, a perfect solution to the problem of my legs looking like they are 6" long. When I styled these looks I was thinking I needed to "keep it real" since I'm going to be walking around all day in the scorching heat. So what do you think should be the final decision regarding this high low dress? Is it a keeper? BTW this was a brutal post to put together. My internet is freakishly slow tonight. I curse you internet! I think it looks really cute! It definitely needs a belt so it shows off your tiny waist though. I have a few hi/low pieces but I don’t wear them that often. It’s not like I don’t like them, I think I just forget I have them haha! Yay yay yay. I think it a perfect dress- surprisingly versatile! It’s a KEEPER! I think it looks GREAT on you! 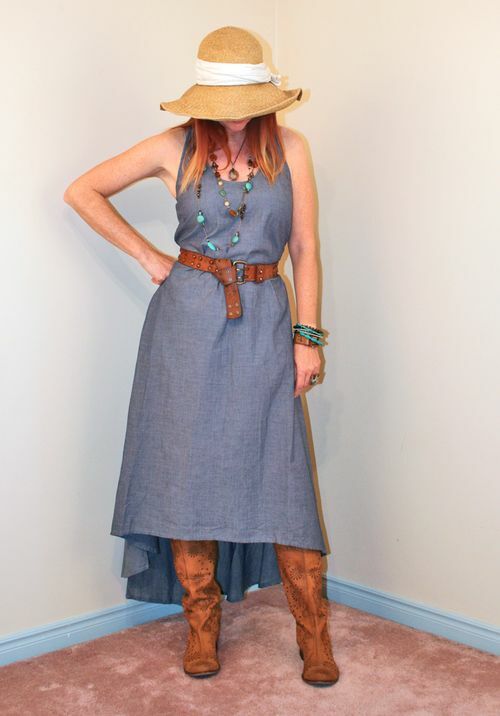 My fav is the last one…simple, easy but SO chic with your hat and the boots. A pair of gladiator sandals would look great with the dress on those hot summer days. The dress itself has a lot of other good features, so when the high-low hemline starts to look dated, you can always hem the dress to an even hemline. Ta-da: two dresses from one. Love it!! You look fab and you have accessorized the dress beautifully! 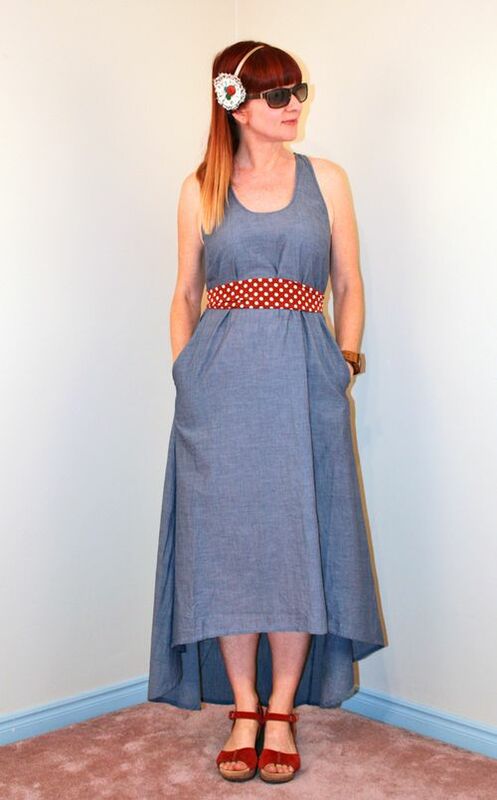 I bought two high low dresses recently, one in Costa Rica (it’s in style there, too). I had to laugh when you compared it to the mullets of the 80s – uggh!! I’ll be posting my pics soon and would like your thoughts. Actually I too am not a big fan of such kind of design. Anyway, I have one dress like this, I bought it because of print mostly. I think you can keep this one, looks interesting on you. I like the variant with boots most of all. I’m also not a fan of high-low, but I’m willing to make an exception for soft draping fabrics, maybe something lacey. This one really doesn’t do it for me, maybe because of those associations with Billy Ray Cyrus’s hair (LOL)! But if you keep it, I think the bohemian looks best. I’m so with you on not loving this trend but surprisingly sometimes it works. 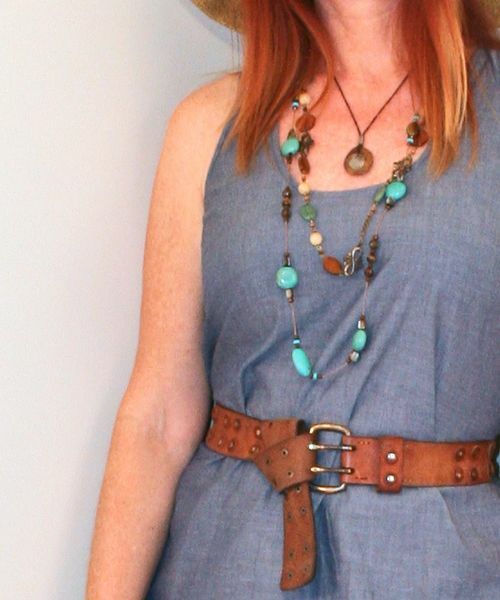 I love the bohemian look with the leather belt and I actually kind of like it just simple and loose as well. It seriously looks great on you so if the price is right I would say its a keeper. Hahaha! Even Billy Ray Cyrus is not sporting the mullet anymore LOL! 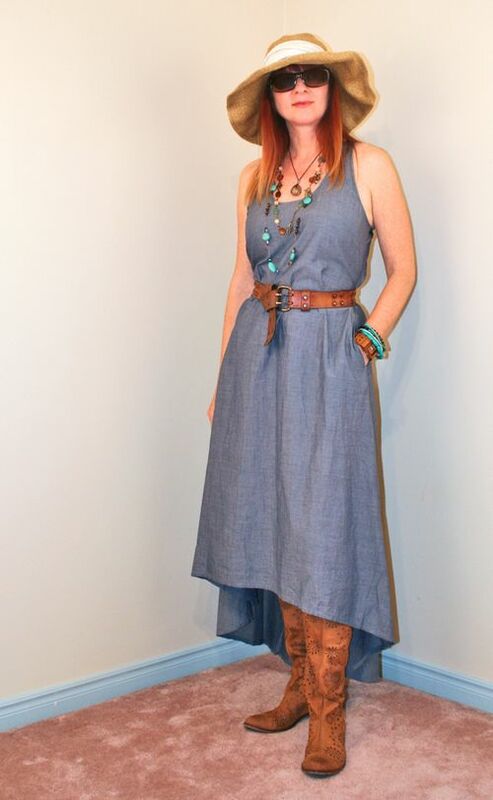 I kind of like this dress, it works in all styling but best is the first boho one. Look at it this way once you are tired with this mullet style or when the trend subside, you can always have it altered and have yourself a ‘new’ dress! Definitely not a fan of this hemline. It always looks to me like someone was slightly drunk when they were cutting the hem. I actually do not prefer a skirt or dress which is longer on the backside. But your’s and how you styled it with the polka dot belt and the red sandals is amazing and suits you more than well. Keep! I like all three looks, although I do share a general aversion to the mullet dresses. You made the exception happen! Thanks for sharing your great looks with Vis Monday. omg- I know! I said/thought the same thing (until I bought one, watch out for it later this week) now i’m warming up to it :). It’s really cute on you and looks so comfy so I say roll with it!! Yes! It’s definitely a keeper! You styled it very well, Suzanne. I think the last look is my favorite. I actually have a dress in a similar shape. I always wear it belted but I’ve been wanting to skip the belt and let the dress hang all loose, just like you did in that last look. There’s something so cool and modern about that look. 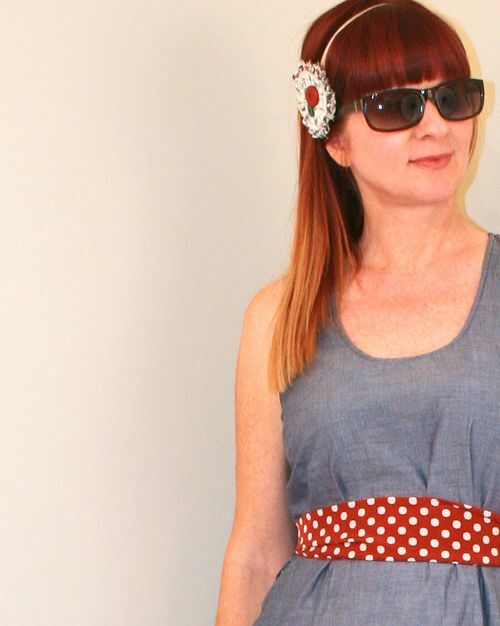 love how fun and versatile this dress is! love that floppy hat! It’s a great dress, love the last look! Maybe get it hemmed just a little bit or to your knees so it shows off your legs a bit more. 🙂 Love that hat! Aggie…would love any suggestions as we are planning day trips around Nice. My husband is from there and his family lives there however I’m always open to new ideas, especially since you are a tourist and they see things differently. 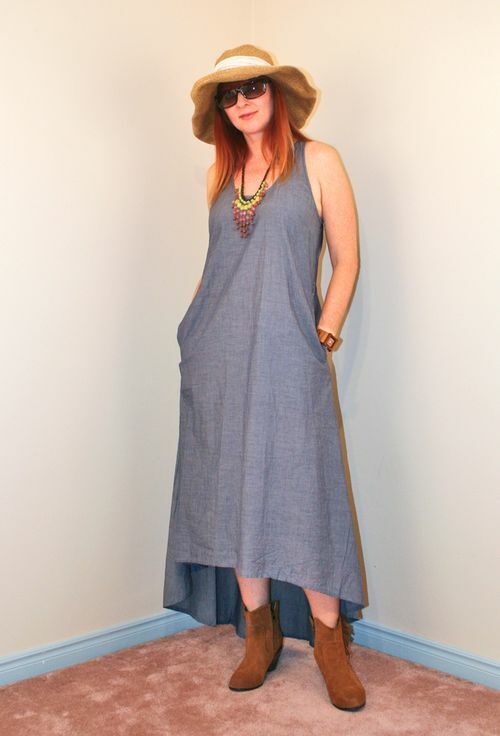 I’m not a fan of hi-hemlines myself, but for this piece, it is all about how you style it, and I LOVE that boho look. The last look works surprisingly well too. You make it work and it seems like the hi-lo might be fun at a beach. Definitely outnumbered here, as I am rooted in the Nay camp. Who knows, I might just be late to the high-low party. I do love your looks…just want to even up the hem everytime. 🙁 Sorry. I think this one looks good because the length of the front and back is not super dramatic. I actually thrifted a dress recently and am revamping it to a similar look. I’d say it’s a keeper. It’s got a great casual vibe but is different enough to be interesting. My favorite look is #2. Yes! I really like these unusual dresses, although we see them a lot now and they get a lot of poo-pooing. They can look fashion victimy … but NOT this one, and NOT the way you’ve styled it. KEEP! You’ll wear it all summer, and it suits and fits you. I have a couple of these that I wear all summer. Hope to show them off this summer, later on. But, as always, I’ve learned something from your mini-tute and will be able to have some fun re-thinking them! I think it’s a keeper. I like the last look best, sweet and simple. On those days when it is really hot, this dress would work great! 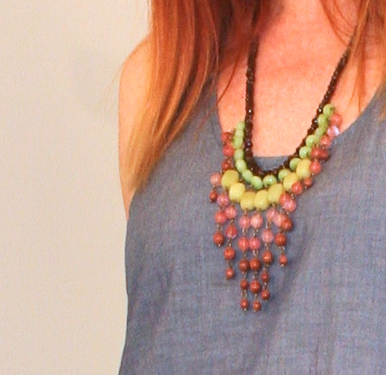 Worn with a hat and boots or sandals you would be ready for the heat. Thanks for including me in your post on Friday. I’m so behind lately, I haven’t toured around like usual from Patti’s. If the eighties re-fashioned are starting to attract all of us who went thru it the first time and swore never to repeat then I think we are okay to embrace this new version of the mullet. It is way better than that. I think it looks fab! I like the middle look best. With hi-low dresses I decide if I like them on a case by case basis. overall I hate them but some I like… I have 3 or 4 hanging in my closet right now!